Master illustrator Paolo Barbieri strikes the perfect balance between elegant realism and ethereal fantasy. You are sure to enjoy the charming surprises and subtly humorous scenes that flow from Barbieri's untamed imagination. The mystique of the feline has never been shown with such lush atmosphere and impeccable detail. 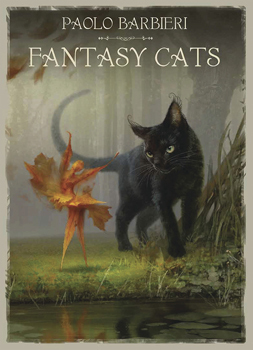 When you enter the world of Barbieri's Fantasy Cats, you will want to linger and drink in the unmistakable sense of magic. See also the Barbieri Cats Calendar 2019 (9780738758824).